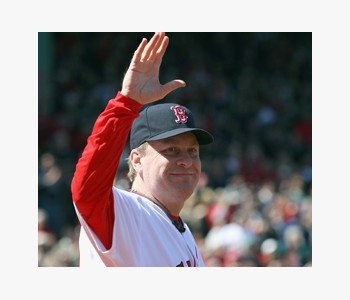 Curt Schilling is a household name in Massachusetts, but he's considering moving his game company to another state if they don't offer tax credits. Ever wonder why so many movies and TV are made in places like New York City and Hollywood? Because those cities foster the industry by offering tax credits and other incentives to productions that utilize local companies. Other states have been jumping on the bandwagon by offering similar compensation to movie productions in recent years, including Massachusetts, but Curt Schilling thinks the state should extend the benefit to videogame companies. If they don't, he may move his videogame company 38 Studios to another state like Rhode Island. 38 Studios is working on an MMOG penned by R.A. Salvatore and recently acquired Big Huge Games to work on an RPG set in the same world. Schilling thinks his company would be great for any state's economy. "We have all the things any state in the country would want right now," Schilling said. "We're hearing from states that don't have programs talking about putting programs in place for us." As MMOG development ramps up, 38 Studios is going to be hiring a lot of staff. "They're very high paying jobs, around $85,000 a year, they're permanent jobs and the industry is growing," he said. Tax breaks for game companies have been a huge topic of discussion in the United Kingdom for years. With the success of Montreal's program, one wonders why municipalities wouldn't want to foster such a relationship. Production companies create jobs, which is what is needed in today's economic landscape. Schilling points to a similar case in the film world in his home state of Massachusetts, when Scorcese's recent Shutter Island was filmed in Medfield in 2008. "I'm looking at two or three companies in Medfield that literally would be out of business if that film had not been shot," Schilling said. Such a program for videogame companies would be even more amplified because their staff would not leave after filming was completed. "It's like the film tax credit on steriods," Schilling said. Wait, that may have been a poor choice of words, Mr. Ex-Baseball player.